Found 3 file extension associations related to Hidden & Dangerous and 3 file formats developed specifically for use with Hidden & Dangerous. Hidden & Dangerous is a 1999 computer and video game developed by Illusion Softworks and published by Take-Two Interactive and TalonSoft for Windows, the Sega Dreamcast, and the Sony PlayStation. The PlayStation port of the game was developed by Tarantula Studios. The player takes the role of a four-man British Special Air Service (SAS) team executing a number of important sabotage and/or rescue campaigns during World War II. The game takes a realistic approach, where the player must use stealth for the most part to complete the objectives. 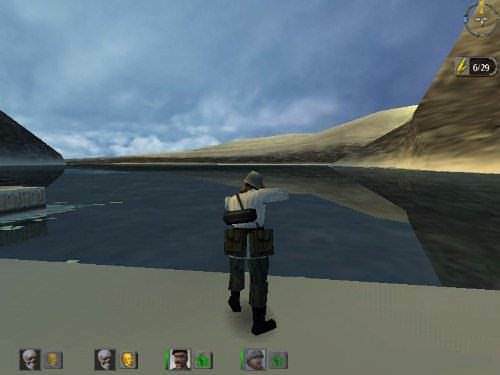 Hidden and Dangerous (as well as Tom Clancy's Rainbow Six) arguably set the tone for tactical realistic shooters and received a large proportion of 90% and above reviews. If you need more information please contact the developers of Hidden & Dangerous (Illusion Softworks), or check out their product website.